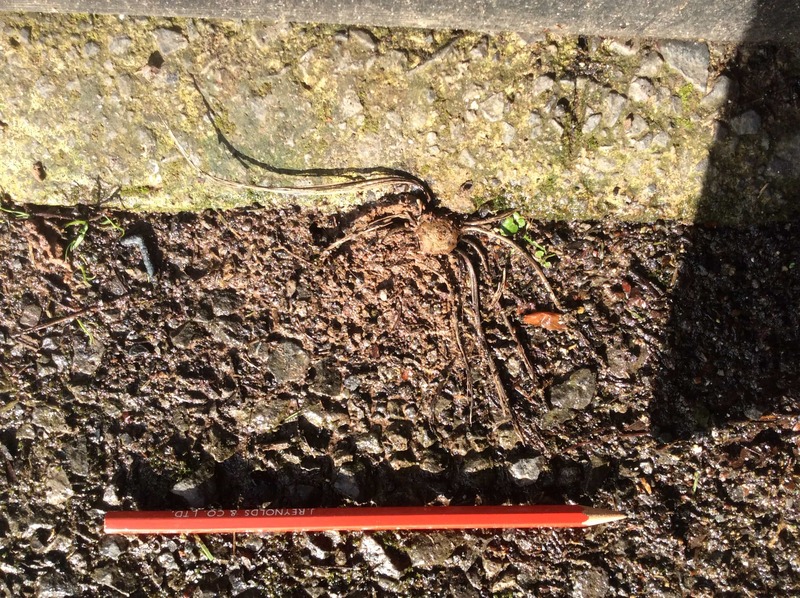 This seems to be a photo of a root next to a pencil… I see no spider in this picture. No It appeared to be dead and stuck in the ground. As Bradito said perhaps it was a root but I don’t know how that appeared just there. Hi, sorry, it is a root system. If you follow the roots that look like spider legs you’ll see that they branch into multiple roots. It is odd that it is next-to concrete and is sticking up without greenery. It is a weird plant that looks a lot like a spider. I had to check it several times to be sure I was seeing roots. We’ve had accidental not-a-spider photos that were WAY further off!